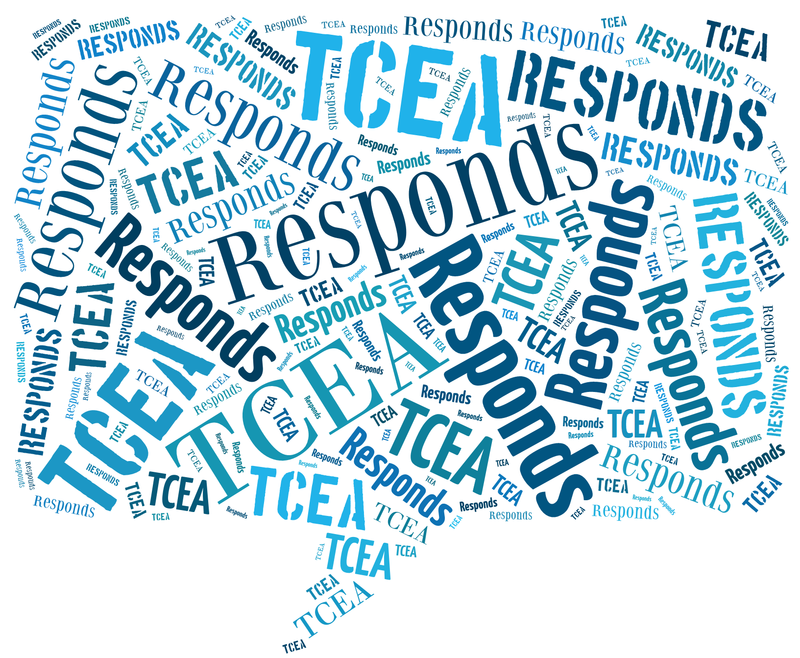 Welcome to TCEA Responds #3. Submit your own question(s) online. Today’s topic is recording speakers in conference settings and note-taking. Recording speakers at conferences and workshops has never been easier. Before we explore various solutions that address your question, let’s get one thing out of the way. If you are going to record someone to share with others via a blog, ask for permission prior to the session, or as soon as possible thereafter. I often carry a business card with some information about myself and that I work for a nonprofit. I share that with the speaker so they will know what I am up to. Recording a speaker’s voice can be done easily. You may want to read this blog entry that goes into iOS (and Android) microphone solutions, as well software to use. My go-to solution these days is the iRig Mic Cast for iOS/Android ($35) and iRig Recorder software. You can then save the audio recording to your favorite cloud storage or note-taking app (e.g. OneNote). Need an audio editor? Use the free, open source Audacity sound editor (e.g. Mac/Windows/Linux) or Beautiful Audio Editor Chrome add-on. For hosting your audio to share with others, use Google Drive, The Internet Archive’s Open Source Audio, or SoundCloud. If you have an iOS device, you can use Apple’s Notes app to convert speech to text as it happens. The transcription will not be perfect, but it gives you an awesome starting point. Another approach on Windows 10 computers or tablets can include using Cortana (“Hey Cortana” to activate) to do voice to text. If you do this in a conference presentation, Cortana will transcribe your speaker’s speech to text (find out more). You can do the same with Google Docs’ Voice Typing feature. Aren’t these cool solutions that work with your Windows tablet, iOS/Android device? For more text to speech and speech to text solutions, read this blog entry, Transform Learning with Text to Speech. 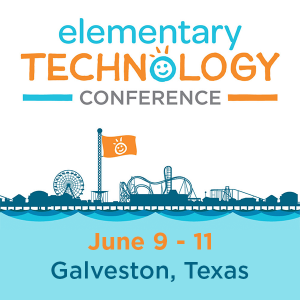 Some great apps to investigate include OneNote, Evernote, and Google Keep. If you don’t know about the free Microsoft Office Lens app (available for Android, iOS, and Windows), then you are missing out. Not only can you take pictures at an angle (which Office Lens then flattens out to make it readable as if you were standing in front of it), you can also scan documents and then have Office Lens read them to you. You can drop pictures into your Camera Roll (iOS) or Gallery (Android). And, if you have a slide full of text, you can grab text from that slide and save it to your notes. “I like the slowness of writing by hand,” says Susan Sontag (as cited here). Avoid media capture frenzy. You may find yourself at the end of a stimulating presentation, only to find yourself uninspired. 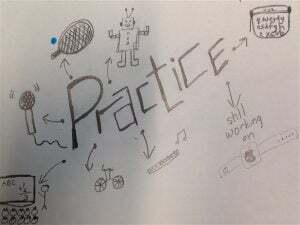 Allow yourself the opportunity to experience the speaker’s enthusiasm with handwritten note-taking or sketchnoting.